The First Family is an American 30 minute scripted comedy television series, which kicked off on September 17, 2012, on The CW and is broadcast every Sunday at 20:00. The show is currently in its 1st season. 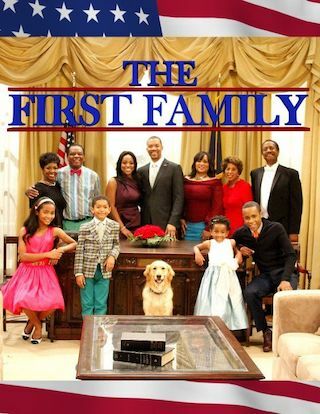 "The First Family" is an American sitcom that debuted in first-run syndication in the United States on September 22, 2012. Created by Byron Allen and produced by Allen's production company Entertainment Studios, the series (along with Mr. Box Office, which debuted the same weekend and is also produced by Entertainment Studios) is the first situation comedy to air in first-run syndication since the 2000 cancellation of Malibu, CA.